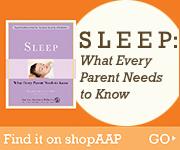 ​Many children grind their teeth with a loud, grating sound while asleep. Tooth grinding (or bruxism) is very common, particularly in toddlers and preschoolers. In most children, it goes away by 6 years, but some continue to grind their teeth into adolescence and even adulthood. Tooth grinding doesn’t mean that your child is having a nightmare or reliving a frustrating event from the daytime. Some causes of tooth grinding include pain (for instance, from an ear infection or teething) and improper alignment of the teeth. Although stress and anxiety can also increase tooth grinding, there is no connection between tooth grinding and problems of behavior or personality. Since it usually goes away before the permanent teeth are in, in most cases it is unlikely to damage the teeth; however, if you have any concerns, check with your child’s dentist and mention it at each regular dental check-ups.